I knew immediately that my homelessness made the woman uncomfortable. I wasn’t trying to make her uncomfortable. I was simply speaking my truth, sharing my reality. She was probably a few years older than I was. Her clothing (tasteful but not ostentatious) and her speech (no slang, proper grammar) marked her as belonging to the educated middle class. She had come to walk with her daughter in the Nevada Desert Experience Sacred Peace Walk, and she seemed a little nervous, a little out of her element. Her daughter had wandered off, and the woman seemed to want to chat with someone so she wouldn’t feel awkward in her aloneness. Women in my age group who think I’m of their social class seem to gravitate toward me when we’re in a group that makes them uncomfortable. I’m educated, and I speak proper, mostly unaccented English. My hair is streaked with grey and my tattoos and the gaps where my rotten teeth have been pulled are mostly invisible. I appear to be a “normal” older professional woman, and other “normal” older professional women seem to think I’m safe to interact with. I don’t remember how this particular woman and I began chatting. I think she joined me at a table for a meal. Maybe she and I lingered after the other folks at the table left. In whatever way the conversation started, I could soon tell she thought we had similar lives. I also don’t remember what question she asked me about myself, but my response was that I lived in my van. I immediately picked up on her discomfort. It wasn’t the first time I’d mentioned living in my van to a woman in my age group and immediately sensed her discomfort. Maybe the conversation went like this: Maybe the woman asked me where I lived and I said I lived in my van. Maybe then she asked me why I lived in my van, and I gave her my stock/true answer that I’d been homeless before I started living in the van, so the van was a step up. However the topic came up, I knew my talk of homelessness as a real part of my life made my table companion nervous. I suspect when a woman thinks I’m like her but then finds out I’ve been really homeless and I’m currently living-in-a-van homeless, she gets a little bit freaked out because she’s identified with me. If I was/am homeless, and she and I are somehow alike, she realizes she could end up homeless too. I think it’s a very disconcerting realization for some women. Upon hearing about my living situation, this particular woman launched into a story about how one night after eating at a restaurant, she gave her leftovers to a homeless man. I guess she wanted me to know she was down with and kind to homeless people. I resisted the urge to explain that street kids call asking folks for their leftovers “white boxing,” presumably because restaurants often pack up leftovers in white Styrofoam containers. The story was long and detailed, and the woman’s nervousness was obvious. Our whole point of interaction had become about her trying to convey to me how ok she was with homeless people (and therefore ok with me). Suddenly I wasn’t an individual sitting in front of her, but a member of a group that caused her discomfort. I wasn’t sure how to respond to this woman’s story. I think I managed, I’m sure the man appreciated the food, but how was I to know what the man thought of her offering? I was almost sorry I’d mentioned living in my van. I hadn’t wanted to cause the woman distress. On the other hand, I wondered why I needed to hide my reality in order to save someone else from discomfort. I don’t have to be ashamed of having been totally homeless or of being living-in-a-van homeless. Being homeless isn’t a moral failure. Being homeless doesn’t make anyone a bad person. The woman’s discomfort made me uncomfortable too. I felt like I had done something wrong, even though logically I knew I hadn’t. The woman rambled on with a story I didn’t really want to hear. I excused myself as soon as I could and left the table feeling alienated and awkward. I wished I could be as normal as people thought I was. She didn’t have much English. What we see here? she asked when she approached the counter. The guy with her didn’t seem to have any English. After I explained they’d see giant sequoias on the trail, she turned to the guy and translated. The language they spoke wasn’t one I recognized. The other store clerk insisted it must have been Portuguese (because she could recognize French, Italian, and Spanish), but I wasn’t convinced. I’ve been told Portuguese sounds like a mix of Spanish and Italian, but the language these customers spoke sounded like nothing I’d ever heard. The woman’s entry into the mercantile’s guest book did nothing to solve the mystery. I’m sure the other clerk thought all would become clear when the woman accepted the offer to sing in, but I’m sure she wasn’t expecting the visitor to write “Torrance, CA” on the line. The woman asked for directions to the closest national park. I explained in detail what roads to take and even pulled out a California road map so I could tell and show. The woman bought the map and asked if they should walk our trail before they left. I told them I’d get on the road immediately, as they still had a drive of several hours ahead of them. The woman asked about restrooms, and I pointed to the building housing pit toilets on the other side of the driveway. She spoke to her fellow, and they both moved to the store’s door. The woman had put her purse on the front counter during the examination of the map, and it was still sitting there. I thought she’d pick it up before she left the building, but she seemed to plan to go to the restroom without it. Ma’am, your purse, I said as she got farther from the purse and closer to the door. She waved her hand at me, as if to indicate, Oh, that old thing? I don’t need to take it with me. With her limited English, she communicated that they were only going to the restroom and would be right back. You really should take it, I said sternly. She took the steps back towards me and swept the purse off the counter. I’m glad she thought I was honest. I am honest, but she had no way of knowing I wouldn’t riffle through her bag and pull out some choice items. Also, how was I to know she wasn’t going to try to pull some scam on me? She could have come back from the restroom and insisted I’d taken a nonexistent wad of cash/iPhone/credit card. What if other people had come into the store and someone had snatched her bag while I wasn’t looking? Would she have held me responsible for not keeping a closer watch on her belongings? I was not willing to take responsibility for her things. I don’t know how it’s done in Torrance, CA, but where I come from, we don’t ask store clerks we don’t know to take care of our purses. If you live nomadically, you have more freedom to visit tourist attractions across the U.S.A. From Arcadia National Park on the coast of Maine to Disneyland in Southern California, nomads can spend their days basking in natural beauty and having fun in amusement parks and at roadside attractions. Since fun often comes at a price, and nomads aren’t the only people on a tight budget, today I offer tips on saving money while visiting tourist attractions. The tips are aimed at nomads, but will be helpful for anyone trying to save money while on vacation. 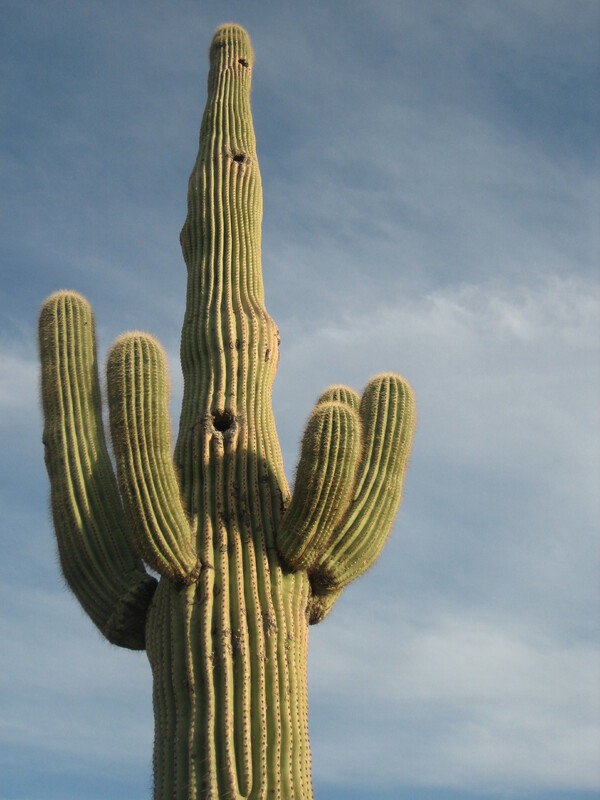 #1 Visit in the off-season, Peak tourist season is usually Memorial Day Weekend through Labor Day Weekend when lots of kids are out of school, but some places (I’m looking at you, Southern Arizona!) have the opposite peak season because of the ultra-hot summers and the mild winters. Some places (like Taos, NM) have two peak seasons—one during family vacation season in the summer and another during ski season in the winter. Do some research on the places you want to visit to find out when they’re less likely to be busy. Not only are attractions less busy in the off-season, you may find nearby accommodations and activities deeply discounted. Some amusement and theme parks offer better deals on admission during slow times. #2 Sleep cheap. Find free or super cheap camping near the places you want to visit. You can save a bundle by camping instead of staying in a hotel or motel. I’ve found free camping close to several national parks (Arches, Canyonlands, Carlsbad Caverns) using the Free Campsites and Campendium websites. 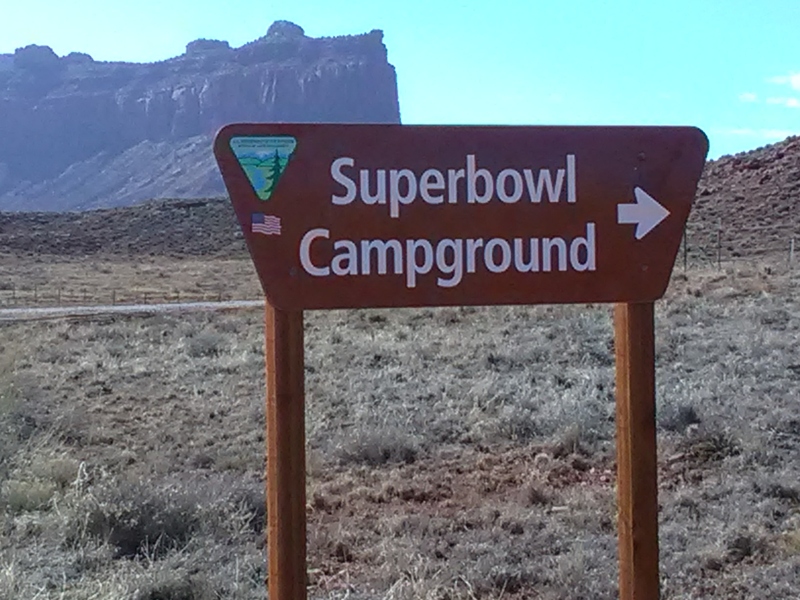 On occasions when I couldn’t find a free campsite, I’ve found campgrounds listed on those sites (like the Super Bowl campground right outside the Needles District of Canyonlands) with a nightly fee under $10. If you want to splurge on a night out of your rig, but don’t want to spend a wad of cash, look into staying at a hostel. Available in both mega cities (several in NYC, three in San Francisco, and the Phoenix Hostel and Cultural Center in Phoenix, just to name a few) and in smaller towns near ski areas (the Lazy Lizard in Moab, UT; the SnowMansion northeast of Taos, NM; the Santa Fe International Hostel in Santa Fe, NM) hostels offer budget rates on a place to get a shower and a bed for the night. Cheapest accommodations are usually in dorms, but some hostels offer private rooms with private baths and cabins. #3 Keep your food cost down. Bring your own snacks and drinks into the attraction if you can. Most national parks and monuments allow visitors to bring in food and beverages, so stock up before you arrive and don’t pay gift shop prices for granola bars and trail mix. Many amusement and theme parks do allow visitors to bring in a limited number of bottles of water, small snacks, and medically necessary food. If possible, cook for yourself instead of eating out. If you’re boondocking or staying in a campground, cooking for yourself will probably be part of your normal rubber tramp routine. If you’re sleeping in a hostel, use of a community kitchen is often included in the nightly fee. If you do stay in a hotel or motel and the room includes a microwave, take advantage of it to make a simple meal. Also take advantage of any free breakfast the hotel/motel offers, as well as any free coffee or tea available to start your day. Remember: food will usually cost less in supermarkets than in convenience stores or small grocery stores, so stock up on food before you hit the road or you might end up spending a lot of money on food in a remote location. #4 Buy all your gear before you head to a tourist attraction. Similarly, supplies are going to cost more in remote locations. Avoid paying gift shop and small town prices for sunscreen, insect repellent, propane, fire starter, and batteries by planning ahead. Save money by getting supplies before you leave civilization. You may also find better prices on fuel for your rig if you buy it in a place where several gas stations compete for business. If you can even find fuel in the middle of nowhere, you’re going to pay more for it. Top off your tank before you leave civilization. #5 If you’re going to visit several attractions in one area, look for a bundle pass that offers access to multiple places for a one-time price. 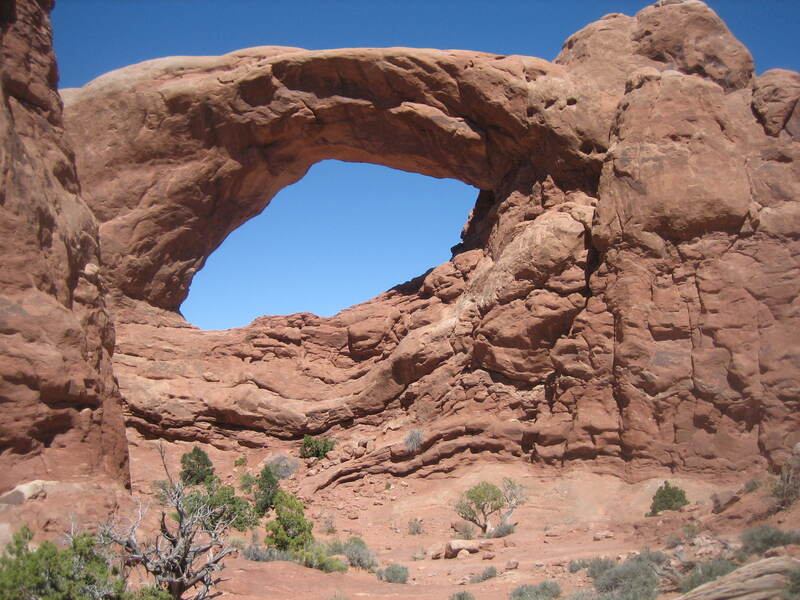 When my host family visited Utah in the summer of 2017, they planned to visit Arches National Park, Canyonlands National Park, and Natural Bridges National Monument. Admission to each park costs $15 to $30 per vehicle, but the Southeast Utah Parks Pass was only $55 and allowed unlimited access to the three attractions the family wanted to visit, plus Hovenweep National Monument. Because the pass was valid for 12 months, The Lady of the House used it again in April 2018 to get us into those places during our epic Arizona-Utah road trip. #6 If the price of admission allows you to enter the attraction for multiple days, take advantage of this option. Most national parks are expensive to visit, usually $25 to $35 per vehicle (and probably more in some places), but most national parks I’ve visited have allowed visitors to enter for five days to a week after paying the admission fee. Spending $35 to visit an attraction seven days in a row is a much better deal than spending $35 to stay in the place for just a few hours. Especially if you have a free or cheap camping spot nearby, slow down and get your money’s worth by exploring a place for as many days as your admission fee allows. #7 Find out if the place you want to visit offers birthday discounts or freebies. 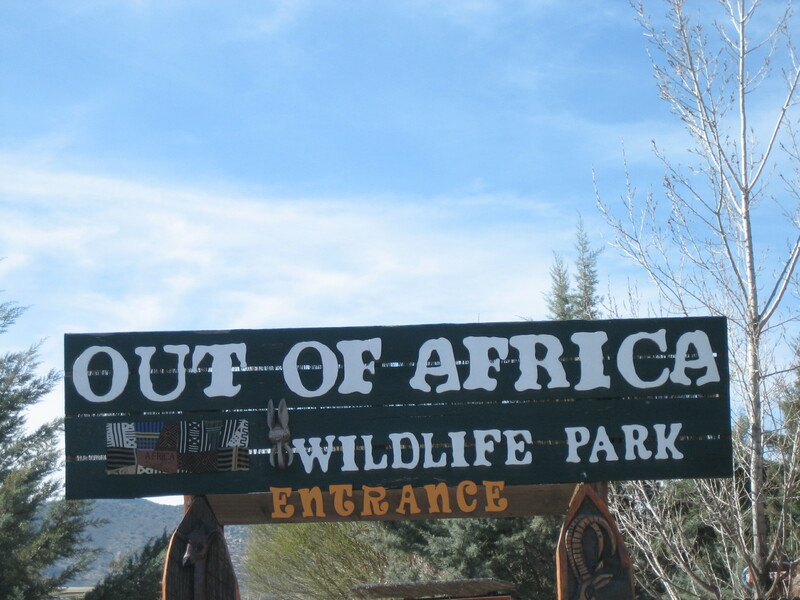 Out of Africa wildlife park in Camp Verde, AZ charges between $18.95 (for kids 3-12) and $33.95 (for adults, with discounts for seniors and active duty members of the military and veterans) for admission, but offers folks free visits any day during their birth month. While such birthday gifts may not be typical, it’s worth checking into at privately owned attractions. #8 If you’re eligible for a federal senior pass or access pass, get it! The access pass is available for free to U.S. citizens or permanent residents who are legally blind or permanently disabled. The senior pass is available to U.S. citizens or permanent residents 62 years or age or older. The senior pass now costs $80, but that’s a one-time fee, and the pass is valid for the pass holder’s lifetime. Both of these passes admit the pass holder and passengers (in a private, noncommercial vehicle) to national parks and other federally managed lands. These passes also provide 50% off camping fees in many campgrounds on public land. Even at $80, the senior pass could pay for itself after only a couple of visits to national parks or a few nights in a campground. #9 Participate in activities included in the price of admission. 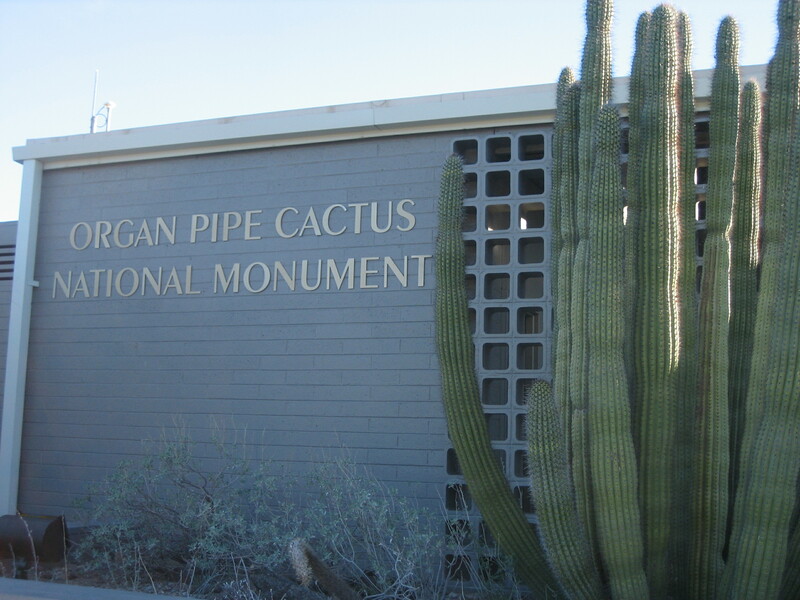 When my friend and I visited Organ Pipe Cactus National Monument in Southern Arizona, we found ranger-led van tours were included in the cost of admission. We rode in a passenger van driven by a ranger while another ranger told us about the desert scenes we saw through the windows. On another day we returned to the monument and went on a hike led by a ranger. The ranger drove a group of us to the trailhead and we hiked together while the expert shared information about the plants and animals we saw. The visitor centers at most national parks and monuments—and at some state parks too—have educational exhibits and movies. These exhibits and movies are offered at no extra charge and allow visitors to learn about the area at their own pace. The visitor center should also have information about upcoming ranger talks or ranger-led activities. 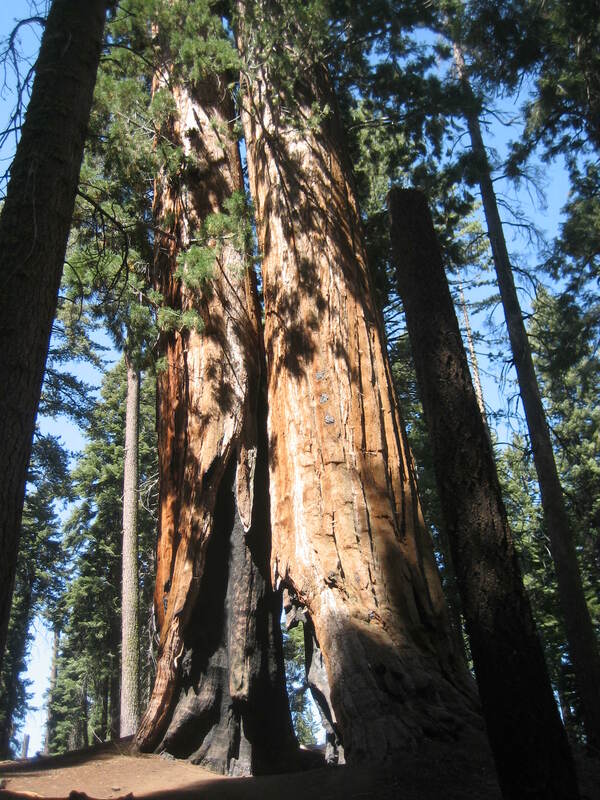 The last time I was at Sequoia National Park, I attended a free ranger talk about woodpeckers. It lasted about half an hour and was fun and informative. #10 If you must have souvenirs, buy small, less expensive items. At only 51 cents each, pressed pennies come for a price that’s hard to beat. At the Utah national parks and monument gift shops I visited, quarter-sized tokens depicting famous landmarks were going for 99 cents each. I also found strips of six postcards at the same gift shops for $1.99 and individual postcards for about the same cost per card at a supermarket in Moab. Not only were these items the least expensive souvenirs, they take up very little of the limited space in my van. If you’re attracted to larger (and usually overpriced) souvenirs like sweatshirts, water bottles, and coffee table books, ask yourself these questions before you buy: Do I need it? Where am I going to put it? Will I really use it? Can I really afford it? What will I have to give up in order to bring this into my life? #11 If you’re visiting with kids, set spending limits before you walk into a gift shop or step up to the snack shack. Offer options within the set price range, such as You can spend $5 on lunch, which means you can have a slice of pizza or a hot dog and fries. or You can spend $10 on a souvenir. Do you want the flashlight or the Smokey Bear compass? If you and the kids are visiting national parks, collect all the Junior Rangers freebies available and do your best to convince the children the free stuff is better than anything for sale in the gift shop. Being on a budget does not have to stop you from having fun. By planning ahead and using skills you already have as a rubber tramp (such as knowing how to find free camping and cooking for yourself) you can have fun and see gorgeous places without breaking the bank. Blaize Sun has been a rubber tramp for almost a decade, but has been a tightwad for a lot longer than that. Blaize comes from a long line of tightwads, including a grandma who could squeeze a nickel so tight the buffalo would groan. Blaize knows how to have a good time on the cheap and firmly believes if she can do it, you can too! I was in Flagstaff, Arizona, and money was tight. I decided to visit the food bank to help me get by until I received my first paycheck. I’ve been to food banks across the country, and some are better than others. It’s disheartening to fill out a bunch of paperwork, answer a lot of personal questions, and wait in line for a long time to receive not much more than a can of green beans and another of store-brand beef stew. Don’t get me wrong—I’m always grateful, but sometimes I’m more grateful than others. I’d heard the food bank in Flagstaff was generous, so I had high hopes when I decided to pay it a visit. I called ahead. My license didn’t list Flagstaff as my address, and some food banks only want to give food to residents. I didn’t want to stand in line only to be turned away. The nice woman on the phone said I didn’t need to be a resident of Flagstaff to get food, but I would need to show my ID. No problem. I arrived early. The food bank was set to open at 9am, but I was ahead of the game and had the van parked before 8am. People tend to show up early for free food, and I wanted to be one of the first in line. I was writing and not really paying attention to the time when I looked at my watch again. It was 8:30. The parking lot was no fuller than it had been when I pulled in. I was parked on the side of the building, so I thought people must be lined up in front. I grabbed my reusable shopping bags and went looking for the line. When I walked around the corner of the building, I didn’t see a single person standing in line. I did see orange cones arranged in front of the building to make a lane and cars lined up in the lane. Could this really be a drive-thru food bank? I hurried back to the van, got in the driver’s seat, turned the key in the ignition, and backed out of my parking space. I exited the parking lot and took my place in the queue which now stretched out of the parking lot and onto the side of the wide, lightly trafficked street. It was probably ten minutes to nine. Just minutes after nine, the vehicles in front of me started moving. I was soon close enough to the front to see the proceedings. A woman with a clipboard approached a car, and there seemed to be some conversation. The clipboard was handed to the driver; soon the driver handed the clipboard back to the woman running the show. The car pulled up to a predetermined spot and people I presumed to be volunteers unloaded food from a full shopping cart into the car’s open trunk. In a few minutes, the car was on its way. When my turn came, things went down just as I’d observed. The woman handed me the clipboard and asked me to write my name and address on adjacent lines; she never did ask for my ID. She did ask me where I wanted the food to go, and I pointed to the passenger side of my van. I pulled up to the designated spot and kind young people loaded in two small boxes of nonperishable food, one large box filled with pounds of fresh produce (tomatoes; Brussels sprouts; yellow squash, and red, orange, yellow, and green bell peppers), a case of 12 bottles of Pure Leaf organic black tea, and three dozen eggs. Wow! This food would certainly help get me through until my first payday. I drove off, marveling not only at the quantity and quality of the food I’d just been given but at the fact that I hadn’t even had to get out of my van. I was very grateful indeed. The Man has left the mountain. He’d been having a difficult time. He’d gotten sick and was still feeling the effects two weeks later. He’d been working alone at the parking lot since I’d started full-time at the mercantile on the Thursday before Memorial Day. He was still having trouble with his daily paperwork and sometimes spent a couple hours a day on it. The weekly cash out was an ordeal that took several hours. He was frustrated, tired, and discouraged, and one day he’d had enough, so he left. He broke up with the job, but he didn’t break up with me. We still love each other, and we talk about the future. We’re currently in different states, but that’s ok. Our bodies may be apart, but our hearts are still together. He’s learning to cut stones to use in his wire-wrapped jewelry. I’m still working in the Mercantile, reading books, and working on this blog. I miss The Man, but overall, I’m doing well. With the Big Boss Man’s permission, I moved out of the campground where The Man and I were living and moved to a little nook in the nearby group campground. I’m now living in the campground where I found the dead man! I could have stayed in the other campground but it seemed too awkward for me to share a site with the new camp host and his mentor/roommate. Also, I still feel responsible for that campground, and I didn’t want to have to constantly make decisions as to whether or not I should offer the new camp host suggestions or just let him run the campground as he sees fit. I thought my life would be easier if I packed up and left. Living at the new campground puts me closer to the Mercantile, so I can save a little bit of gas each day. My campsite is surrounded by trees, and I can see a meadow from where I stay. In the past, a bear has frequented this area; after the campers left and before the garbage was picked up, he would have a trash can buffet. I’m trying hard to keep my site clean so as not to attract this bear or any others. The campground is usually empty during the week, so I expect to have a lot of quiet time. All in all, life is still good. Her nametag read “Karen,” and she was our cashier at a Wal-Mart in a medium-sized city in central California. The Man and I had popped into Wal-Mart to get a few supplies before we headed back up the mountain. The Man had a 12-pack of socks and a comb, and I had a bottle of hand sanitizer, a roll of paper towels, and a bottle of bleach. We usually go through the self-check line, but that morning I wanted my cash back partially in ones so I could feed the water dispensing machine. I knew the self-checkout machines would only spit out twenties, so I needed to deal with a human to get the bills I wanted. Karen had completely white hair styled in a way that seemed old-fashiond even for a woman I presumed to be about 70 years old. She asked me if we needed to buy a bag, and I said no, we’d just carry our purchases out in our arms. We’re not from California, I told her, so we forget to bring in our own bags. You’re lucky you’re not from California! Karen exclaimed. I told her we worked in the National Forest, and I must have told her we traveled too, because she asked me What’s your favorite place? I told her I’d just been to Moab (she looked confused, so I added Utah) and I’d liked it very much, and I said I really like Taos, NM too. What’s your favorite place? I asked her. She’d never been out of California, she told me. Well, what’s your favorite place in California? I asked. Home, she replied with a laugh. Where would you like to go? I persisted. I’m 82 years old, she said, much to my surprise. I thought she was a dozen years younger. I’m scared to go anywhere, she told me. I’m always shocked when I meet people who’ve never ventured even into a neighboring state. I suppose California is big enough to satisfy a lifetime of wanderlust, but I wonder if Karen traveled even the state of her birth. I just hope she was content to stay at home instead of being held there by fear.